Are you like me? I’ve tried to knit like 5000 times and every time my poor little stump of a scarf ends up with dropped stitches and loose threads, never quite making it to anything near completion. 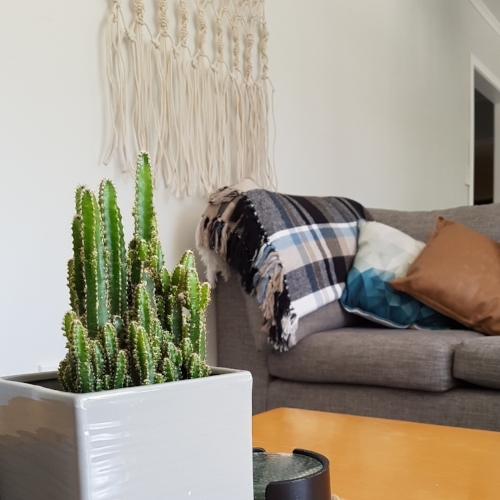 One day I stumbled across Creataholic on Instagram (Go check her stuff out if you would like some Macramé inspiration, it is truly beautiful!) 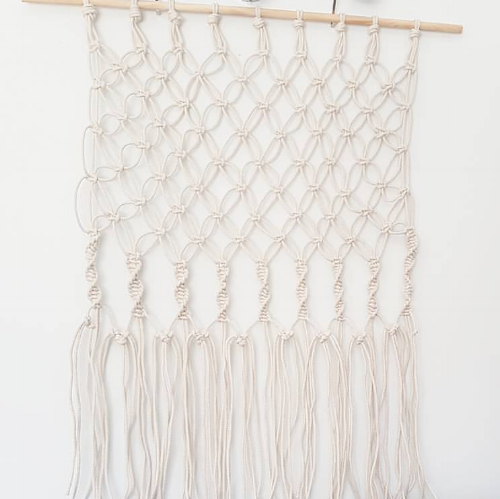 and somehow decided to become a Macramé expert. I truly imagined myself spending hours in front of the television, tying knots from a Dowling, finishing the next major piece of artwork for my hugely successful, frequently visited, online store. A couple of YouTube tutorials later and it wasn’t long before I hit the shops in search of macramé supplies. As you can imagine in Auckland, New Zealand, my options were limited. I ended up at Bunnings buying the cheapest yarn available, my budget dowling in hand. 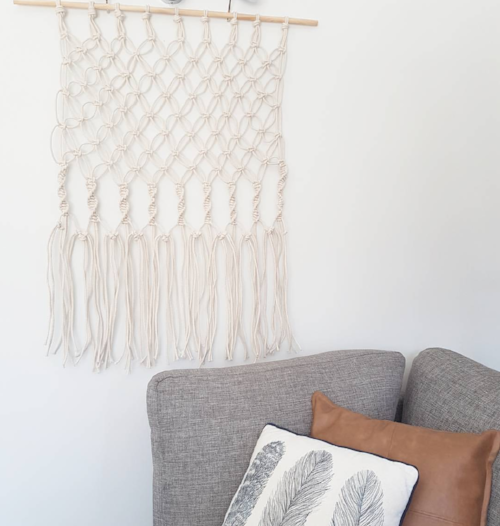 Macramé is, for those of you who don’t know, the art of tying knots together in different ways to create a tapestry of sorts. The best thing about this craft is that you can pick it up and put it down again quite easily, meaning you can work on it while your little one sleeps, or whenever you find yourself ten minutes to spare. My piece is pretty basic, and it’s also not perfect, but I think I’ve done reasonably well for a beginner!